Adhering to relevant federal or state regulations Political CFOs positions your organization to be able to make the quick, sound decisions necessary to run a more effective campaign that is less likely to finish an election with huge amounts of debt. 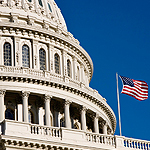 Political CFOs team of dedicated political financial fundraising and reporting experts are dedicated to ensuring that your campaign’s financial oversight needs are met. Paul W. Houghtaling. Paul Houghtaling is founder of Political CFOs, and has served as president of the firm since its inception in April of 2004. Paul oversees the daily operations of the company and is the primary contact for client's questions regarding campaign finance regulations. Paul has been an independent compliance/financial consultant to Democratic candidates, and state party committees since leaving his position as the Democratic National Committee's Compliance Director in April of 2001. As an independent consultant, prior to forming Political CFOs, Paul assisted various clients in setting up and operating internal vetting operations and accounting/compliance departments for many statewide candidates and state parties, including: Bob Graham for President, The Governor Gray Davis Committee, Janet Reno for Florida Governor, Arizona Democratic Party, Colorado Democratic Party, and Strickland for Senate. Paul's position as Director of the Compliance Division at the DNC was created in 1996, on the heels of the campaign finance scandal of 1996. He was invited by the DNC to build the division from the ground up . hiring and training staff from its inception, and served as Compliance Director for 4 1/2 years, under four different chairmen. With staff levels ranging from 10 to 26 employees, the division was responsible for processing all major donor contributions to the DNC, production and filing of the organization's FEC reports, and for performing donor research for all political fundraising activities of the DNC, as well as political fundraising activities for the Clinton/Gore administration. Paul has spent more than 17 years working on campaigns and at state party organizations throughout the country, specializing in campaign finance laws, regulations, campaign reporting and fundraising procedures, as well as serving as Chief Financial Officer for numerous committees. He has worked on campaigns at all levels in Colorado, Kansas, Oregon, and Michigan, in addition to his work at the DNC. Additionally, Paul has a US Patent pending, for the development of an automated system for tracking and reconciling credit card transactions processed on political and non profit organizations' websites. Swift-CPA, is used by organizations to quickly reconcile large numbers of web based credit card transactions that are processed through an organizations website, as well as internally. Paul also holds a private pilot's license.